The Walking Dead kicked off season 7 with a big, brutal and very successful bang. Or two, depending on how you look at it. Droves of fans, to the tune of 17 million viewers, tuned in to see the result of that heavily talked about Negan cliffhanger. In the following weeks, things haven't been so great as the audience isn't sticking around and this week, the show lost yet another half million viewers. ShowBuzzDaily recently posted the cable ratings for this week and The Walking Dead brought in a season-low 10.4 million viewers. Week-to-week this season, the show has seen a very steady decline and now The Walking Dead is experiencing the worst ratings since season 3. There is only one episode left before the mid-season finale, which may be able to generate a ratings spike, but it is very clear that interest is waning in a big way. Even with the very steady decline in ratings for The Walking Dead Season 7, that doesn't necessarily mean that AMC is going to abandon ship. 10 million viewers is still a monster number in the modern cable landscape and the show is easily coming out on top in terms of original cable broadcasts on Sundays. What's more is that the follow-up show, Talking Dead, is still the second highest rated original show on Sundays, having brought in nearly 4 million viewers this past week. Yes, the network may need to worry a bit if ratings continue to decline, but it would have to get a whole lot worse for AMC to consider bailing on The Walking Dead. AMC doesn't seem to have any plans on slowing down and they have already given the green light to an eighth season of The Walking Dead. They are also continuing with the spin-off Fear The Walking Dead, despite the fact that the ratings don't come close to that of the flagship series and that it isn't nearly as well-liked. 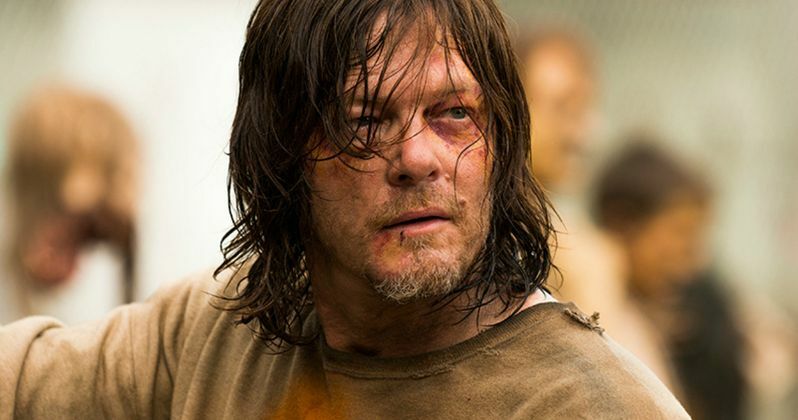 There has even been talk lately of a Walking Dead movie at some point in the future. Showrunner Scott Gimple recently talked to Comicbook.com, saying he feels a movie is inevitable. "That question comes up every now and again. I'm sure one way or another, one day, it'll happen. I think it would be cool." The mid-season finale for The Walking Dead is approaching and it is possible that they could be gearing up for another cliffhanger, which might not sit well with fans who had to wait a long time to resolve the season 6 Negan cliffhanger. The resolution of that cliffhanger in the second half of season 7 could help ratings for The Walking Dead, at least for one episode. Even if ratings fall a bit more, AMC probably isn't going to hit the panic button just yet, but it is something they are going to need to consider when finishing up this season and looking ahead to season 8. The Walking Dead returns this Sunday on AMC.